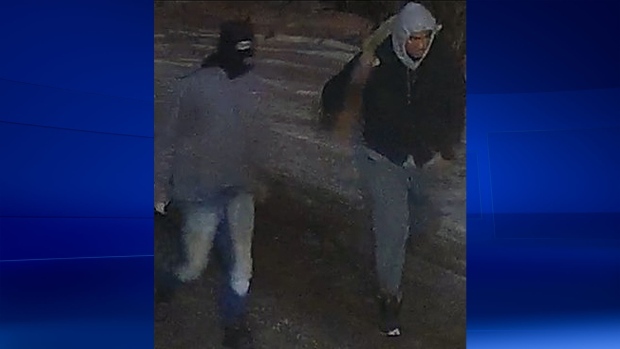 Montreal police are searching for two men they believe committed arson and robbery earlier this year. On Saturday Jan. 5, police say the duo started a fire that destroyed three snow plows belonging to a private company in St. Leonard. 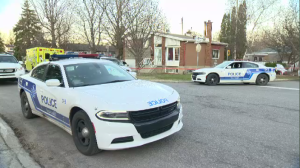 Police believe they also started two other fires in St. Leonard and in Riviere des Prairies-Pointe aux Trembles. All three fires were started between 8:40 p.m. and 10:30 p.m. The suspects were driving a black pickup truck, possibly a Ford F series, with chrome footboards, lights on the mirrors, and lights on the roof. One man was wearing a black balaclava, while the other wore a dark coat with a hood that had fur trim. Anyone with information is asked to call 9-1-1 or to leave an anonymous tip with Info Crime at 514-393-1133.